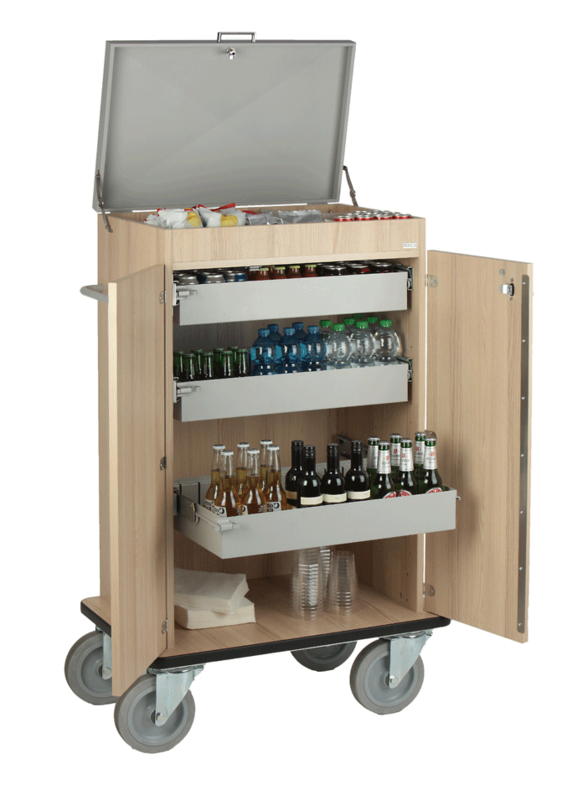 The BORA BORA's characteristics are its modern design in combination with its sturdy construction. 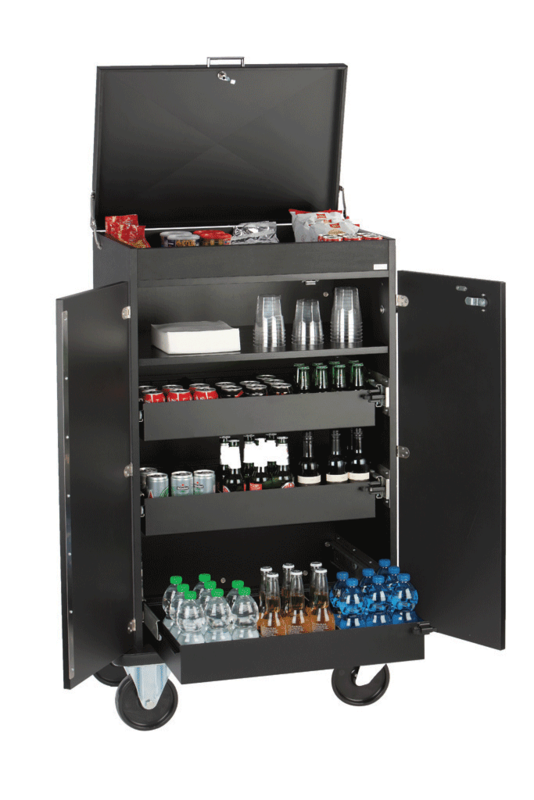 The many available equipment options allow an individual fit. 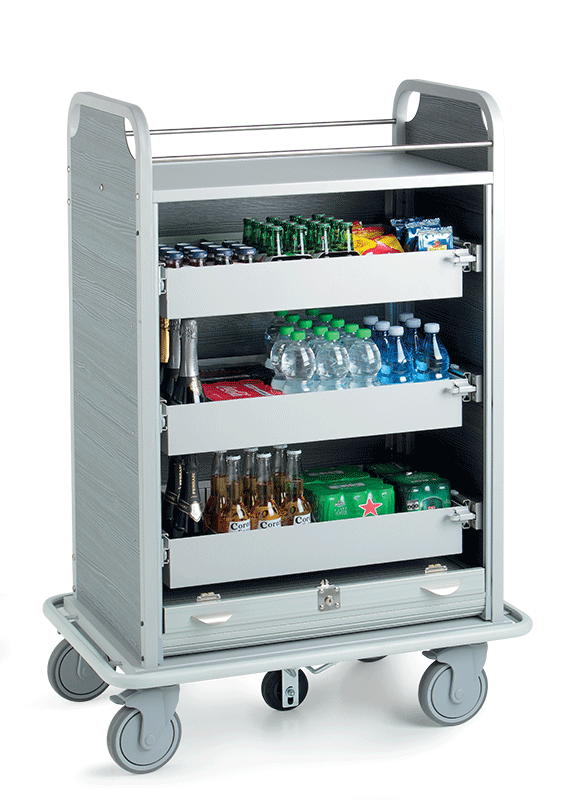 The bar service trolley IBIZA BAR is pratical and pre-equipped for ready-to-use service. 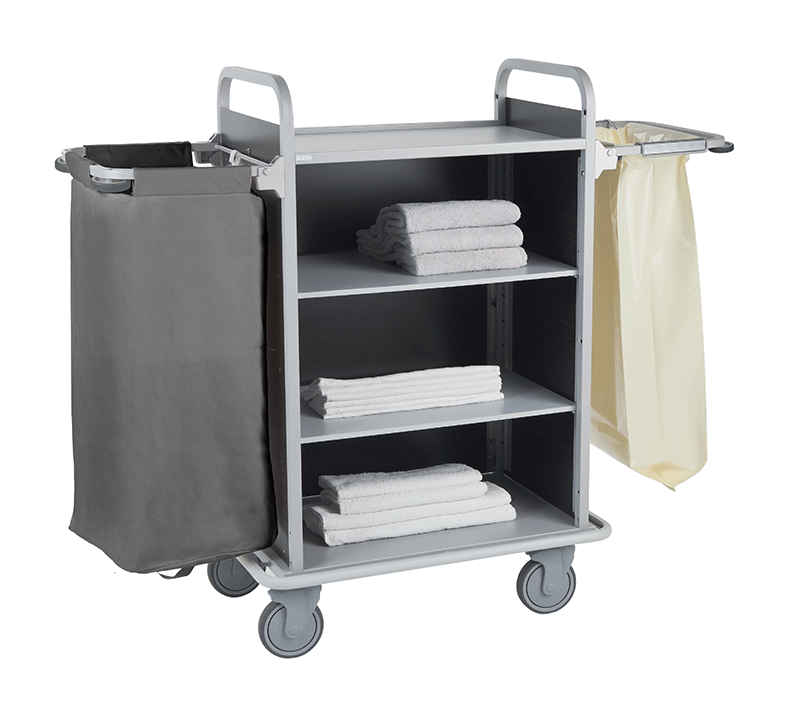 This enables a great price-value-ratio in combination with a our best Caddie Hotel quality. Apart from its well-thought-out internal features, CHARLOTTE inspires with its pure elegance, allows for the perfect fit of interior designs. 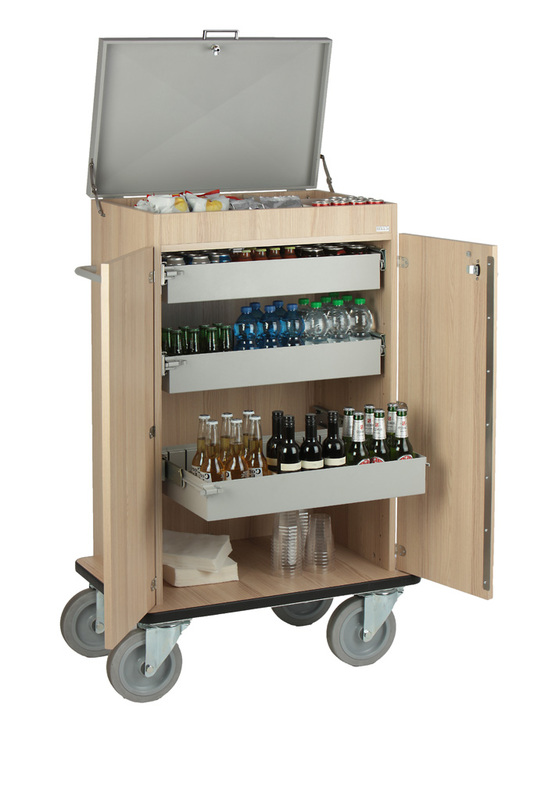 B-PALACE is the minibar solution by the Signature Serie. 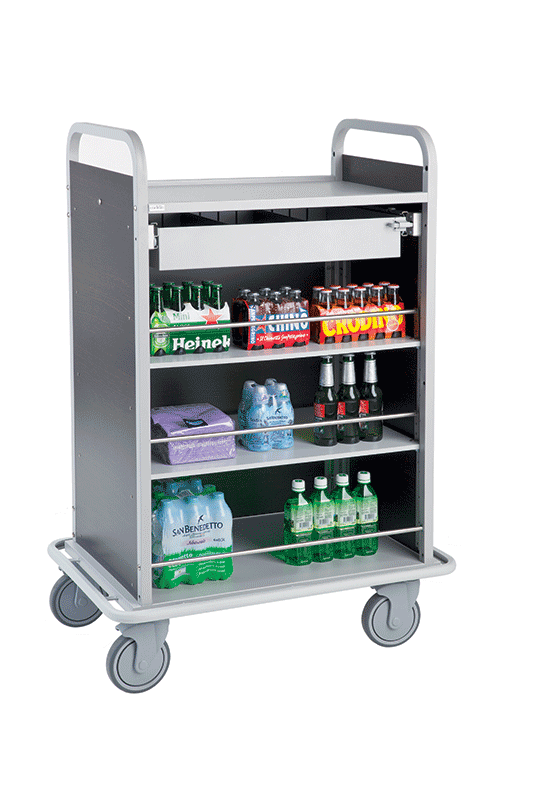 It brings a new dimension in tems of design and available finishes. With a individual configurable inner part.